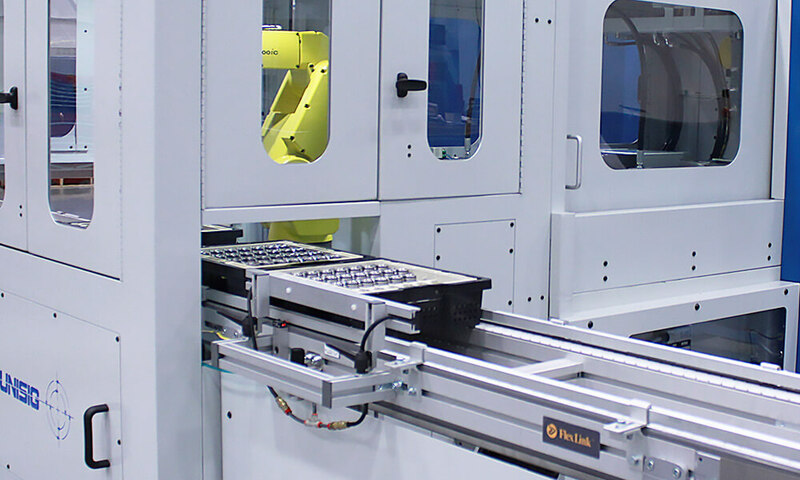 Flexible automation solutions are programmed to increase productivity and reliability with the versatility to work with a variety of applications and configurations. Flexible automation may be integrated into the original machine, designed independently, and programmed to accomplish a variety of automation tasks. 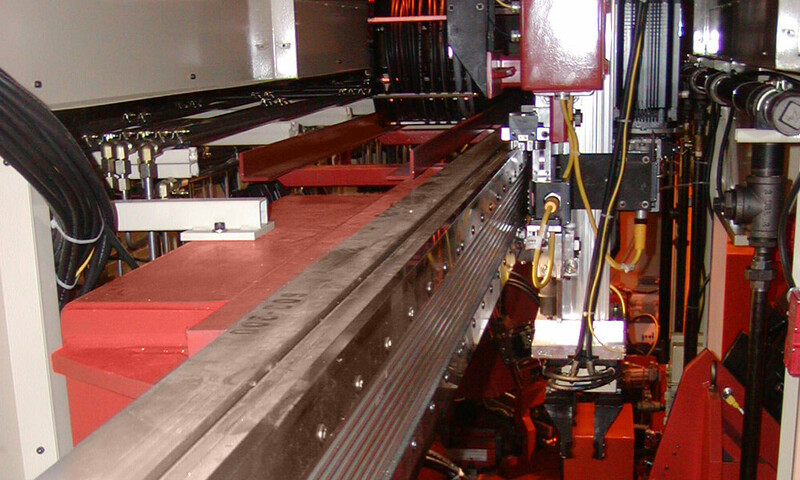 UNISIG is experienced in developing automation solutions for deep hole drilling machines and CNC machining cells. We will closely consider your application, tolerance and production requirements, facility, and budget in developing an ideal solution. Robots offer the ultimate in flexible automation. 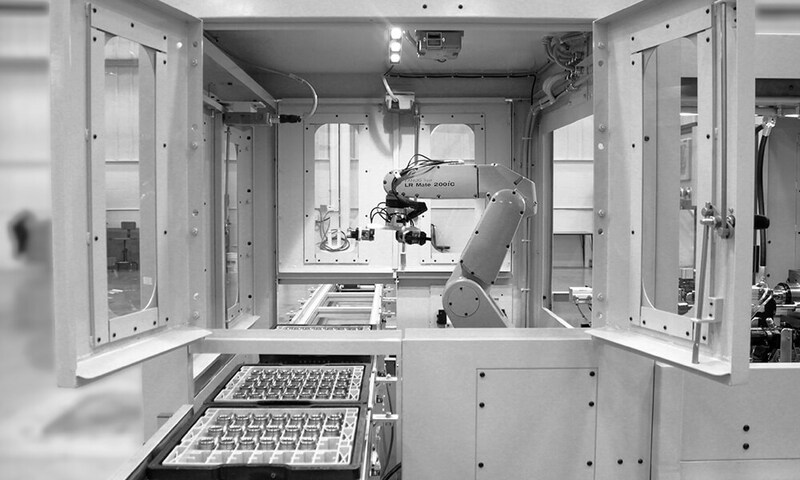 Beyond productivity benefits, uniquely shaped parts and multiple operations are easily handled with robots. 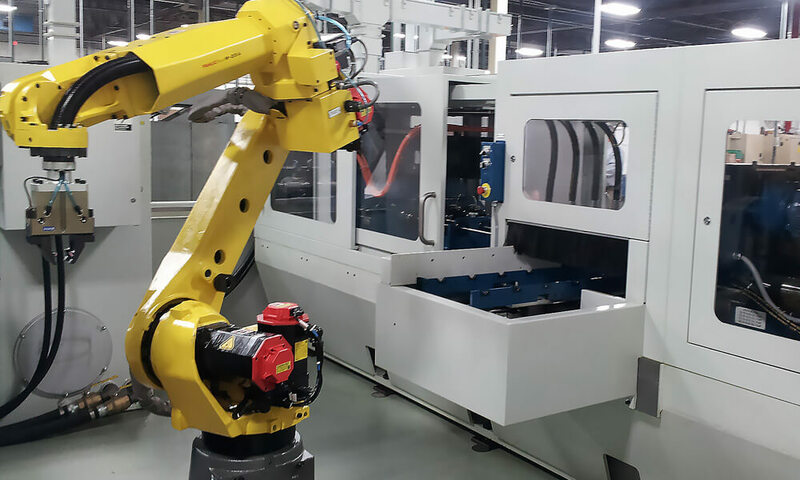 Robotic technology is chosen from industry leading automation producers such as Fanuc, and expertly programmed by experienced UNISIG engineers. 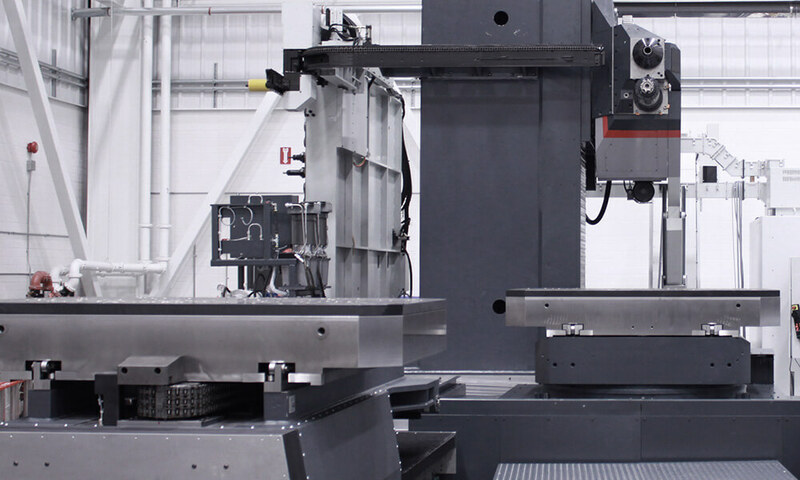 UNISIG machines can be designed to be robot ready, allowing them to be serviced by existing automation on a factory floor or in a CNC machining cell. This option typically includes automatic doors, safety relays, internal part sensing, and intelligent integration with factory automation. Tray handling conveyors are used in conjunction with robotic automation, for small part loading and handling in high production environments. Workholding pallets allow a variety of fixtures and parts on the same machine, so that operators can improve production rates or enable lights-out operation. Complex production drilling systems often have multiple stations and various load and unload points. Overhead servo driven gantry systems offer flexible programming options combined with high speed and large service envelopes. 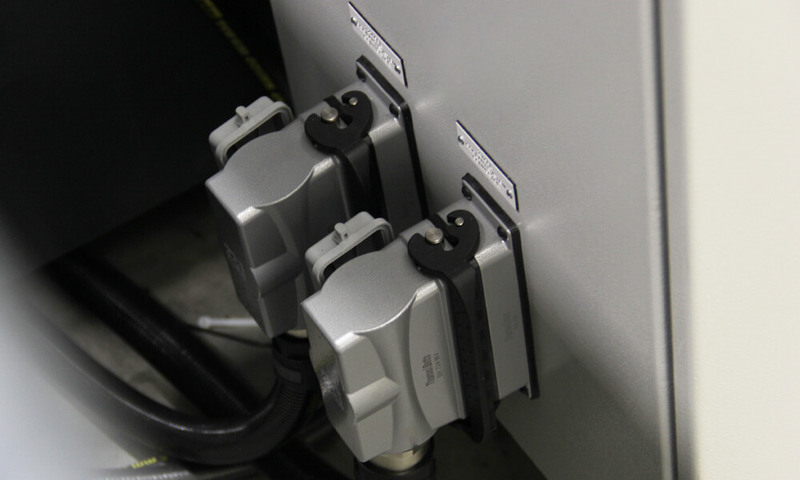 Inspection and reject stations are also possible, resulting in increased productivity with high levels of accuracy. Request information on flexible automation, or submit your application for review.